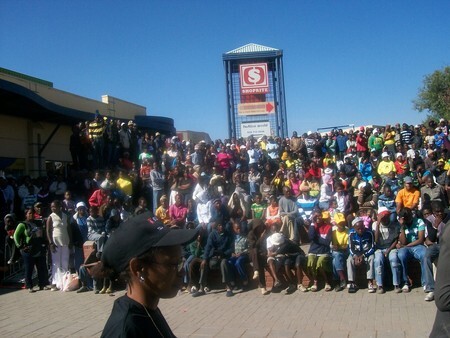 Setsing Plaza "One Centre For All" is located in Phuthaditjhaba, 60km’s outside Harrismith in the Free State. It comprises a gross lettable area of 25 963m², and includes tenants such as Jet Store, Mr Price, Ackermans, Shoprite Checkers, King Pie, Pep, Capitec, Bradlows, Joshua Doore and KFC. The balance of the centre is also made up of a number of local traders and hawkers. Phuthaditjhaba, which was the capital of the former Qwa-Qwa homeland, serves as a regional node for the approximately 360 786 people living there. The town has a large industrial area and hosts provincial, district and local municipalities.Its geographical coordinates are 28° 32' 0" South, 28° 49' 0" East and its original name (with diacritics) is Phuthaditjhaba. The centres form a substantive part of the Phuthaditjhaba CBD since 1988, with a main taxi rank and bus terminus in immediate proximity. Thus the centre enjoy very high volumes of pedestrian and vehicular traffic.